Buy/Fit the Helmet for Now. You’re more likely to wear a helmet you find comfortable and attractive. Readjust as necessary to ensure it fits right each ride. Adjust the helmet fitting based on your helmet first being in the correct position, level on the head and low on your forehead. Both the side and chin straps must be snug. Your helmet should not rock forward, backward, or side-to-side on your head. If your helmet rocks more than an inch, readjust it. Be a “Roll” Model for Safe Behavior. 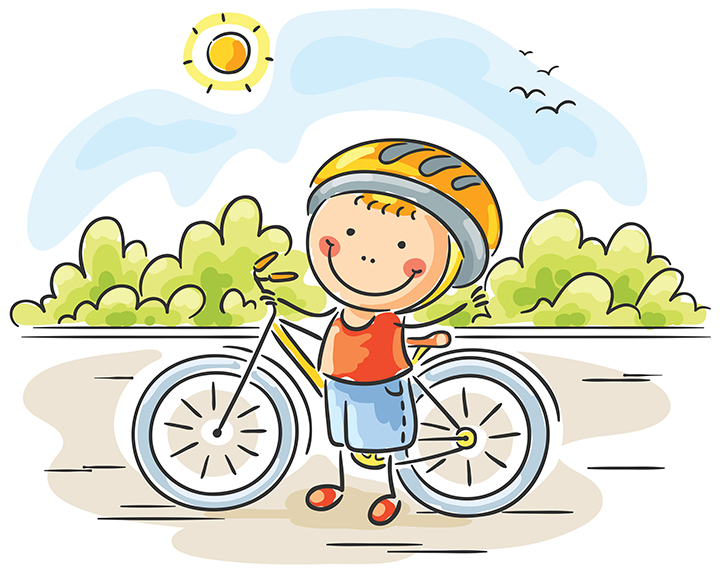 Everyone – adults and children – should wear a bicycle helmet each time they ride. Wearing a helmet each ride can encourage the same smart behavior in others. Find out more about bicycle safety from NHTSA online.